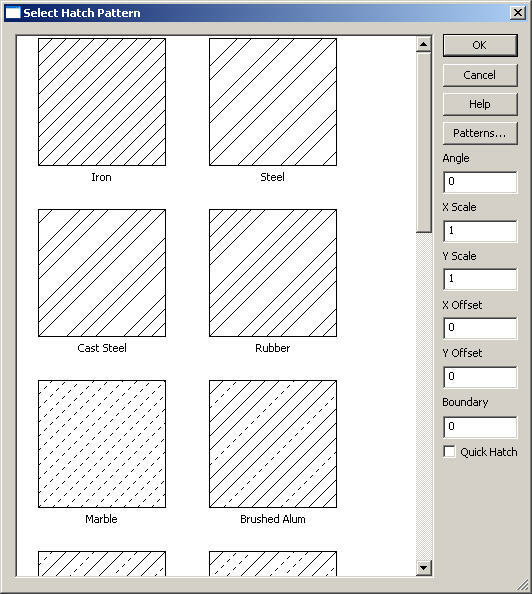 Use the Edit Hatch function to change a crosshatch pattern using the settings that are available from the Select Hatch Pattern dialog box. Select the hatch entities to modify and click Accept. The Select Hatch Pattern dialog appears, through which you can change the hatch pattern style, angle and spacing.